Five Indiana University alumni received IU’s Distinguished Alumni Service Award on Oct. 12 during homecoming weekend. It is the university’s highest award given only to an alumna or alumnus. 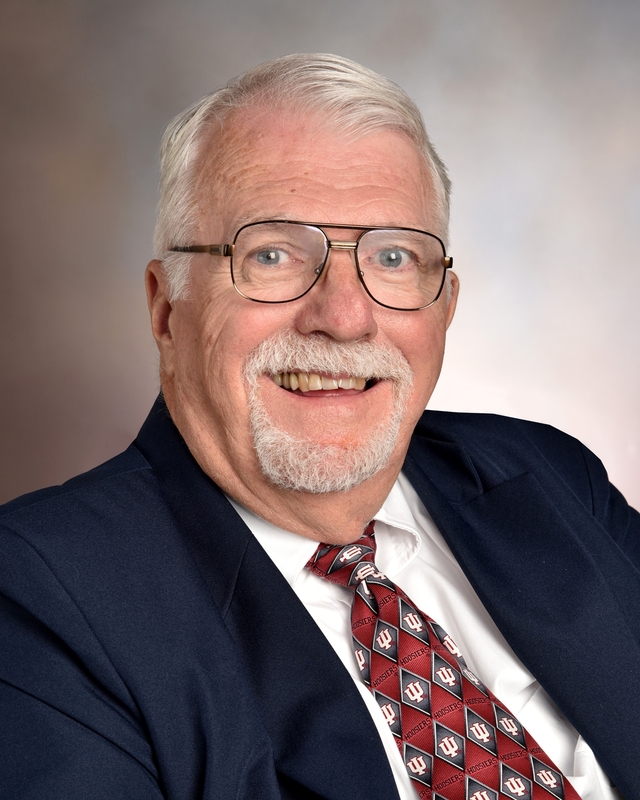 IU School of Public Health-Bloomington alumnus Raymond E. Pavy of New Castle, Ind. was among the recipients of this year’s award. Additional recipients included Dr. Kent Brantly of Fort Worth, Texas; Roselyn Cole of Indianapolis; Alice Jordan-Miles of Fort Wayne; and John F. “Jeff” Richardson of Washington, D.C.
IU President Michael A. McRobbie presented the awards to the honorees. Brieanna Quinn, national chair of the IU Alumni Association, presided at the presentation ceremony in Alumni Hall at the Indiana Memorial Union. The Distinguished Alumni Service Award recipients were chosen for service and achievement in their fields of endeavor and significant contributions to the community, state, nation or university. With the addition of these recipients, IU has honored 335 alumni since the award’s inception in 1953. Coach, educator, inspiration. Those words all describe Ray Pavy, a high school basketball legend and a promising IU guard until an automobile accident left him paralyzed from the waist down. Although the accident ended his playing career, Pavy returned to IU to resume working toward his career goal of becoming a basketball coach. Thought to be IU’s first wheelchair-bound student, Pavy received assistance from professors and fraternity brothers to attend classes. A 1965 graduate of IU, he earned graduate degrees from Ball State University. Pavy had a successful seven-year coaching career in Indiana with Sulphur Springs and Shenandoah high schools and later became assistant superintendent of the New Castle schools, from which he retired after 31 years. Inducted into the Indiana Basketball Hall of Fame in 1990, Pavy has been honored by Ball State with its Disabled Student Development’s Outstanding Alumnus Award and by IU, where he received the coveted Clevenger Award. He attends almost every IU football and basketball game, driving to games in his wheelchair-accessible van. Click to read bios of the other award recipients.